Any time you require a body part to be amputated it is a traumatic, emotional event. Whether you lose a toe or a finger or an arm or a leg, the loss of a limb or an extremity will affect your life for a long time to come. 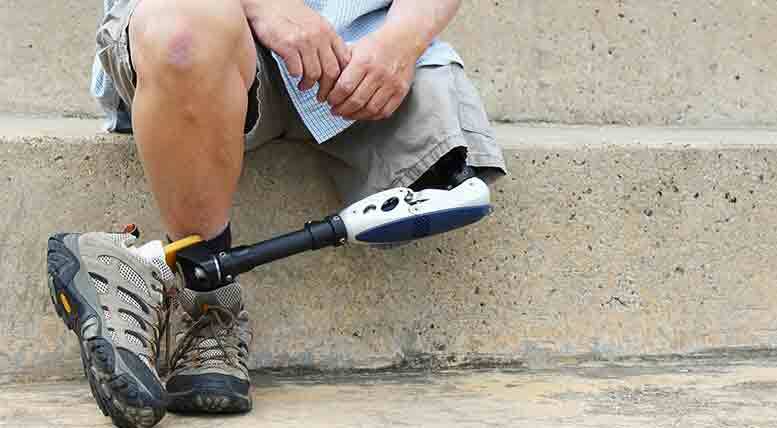 If the loss of a limb comes from a medical condition, or as a result of an injury in an accident, it can be a challenging thing – but when you discover that a doctor has amputated a limb in error there is no end to the devastation you can suffer. At the Rocky McElhaney Law Firm, we fight for compensation for those who have suffered a loss of a limb due to medical malpractice. We represent clients in Nashville, Hendersonville and Knoxville whose injuries were the result of a doctor or other medical professional’s negligence, and we want to hear your story. If your doctor was negligent and caused you harm, we have the skills, the resources and the experience to help. The current nightmare of patient safety in the U.S. According to the Journal of Patient Safety, approximately 440,000 patients die every year from preventable medical errors. These preventable medical errors cost the economy tens of billions of dollars each year, and one in three patients who are admitted to the hospital will experience a medical error. Wrongful amputation is referred to as a “never event,” which is a particularly shocking medical error that happens at the alarming rate of about 40 times a week in hospitals in the United States. Misdiagnosis. A doctor might misdiagnose or fail to diagnose a medical condition, and the limb might end up requiring amputation as a result of the failure to treat the illness. Wrong treatment. If the doctor correctly diagnoses the condition, but then fails to administer the appropriate treatment, for example, an infection, which can lead to the need for amputation in order to stop the spread of the infection to other parts of the body. Chart confusion. The medical staff can mix up charts, write the wrong instructions on the chart, or fail to include important information on the chart. Any of these errors might give rise to a medical malpractice claim if you can prove that a doctor patient relationship existed, that the doctor or medical professional was negligent and their negligence caused you harm. Phantom limb pain. Often people who have had a limb amputated will experience pain and even itching in the area where the limb used to be despite the fact that the limb is gone. This pain can be quite devastating and degrade quality of life. The site of the infection may be prone to infections that could require further surgery. People who have suffered amputation sometimes experience depression or post-traumatic-stress disorder that requires treatment in order for the person to be able to get through their daily lives. When you and your loved ones are suffering because of medical negligence, you want a fighter on your side. The “Gladiators in Suits” at RML fight to protect families throughout East Tennessee. We don’t back down to insurance companies, and we are always there to help you when you need us the most. Have you been subjected to an unnecessary or wrongful amputation? Are you considering filing a medical malpractice lawsuit against your doctor or hospital? The compassionate medical malpractice attorney at the Rocky McElhaney Law Firm will hold medical personnel accountable for their errors. We have offices in Nashville, Hendersonville and Knoxville for your convenience. You are welcome to call us toll free at 888.619.4765 or fill out our contact form to reserve a free consultation with a Nashville medical malpractice attorney who cares about your future.